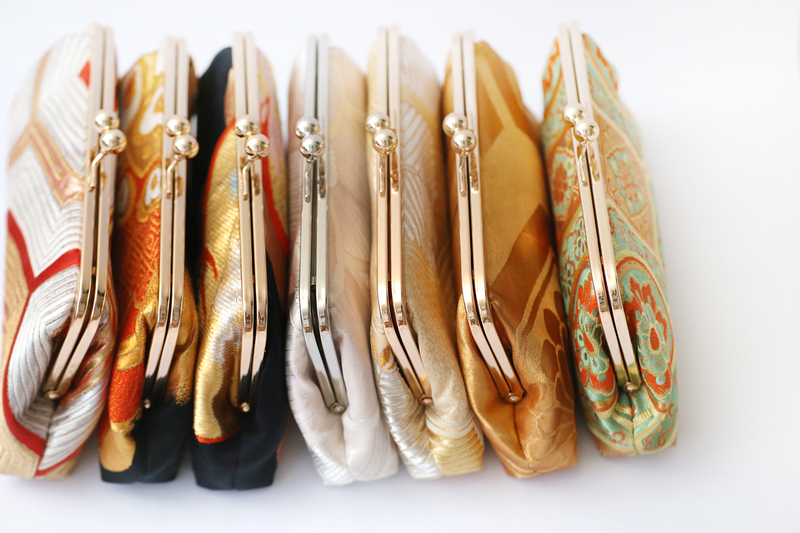 We are so excited to introduce our line of vintage Japanese obi clutches, made from antique and vintage obi sashes. Obi are wide sashes or belts worn over the traditional Japanese kimono. Made from silk threads and metallic gold, obi sashes are an art form in their own right and each depict a specific occasion, season, message or meaning. 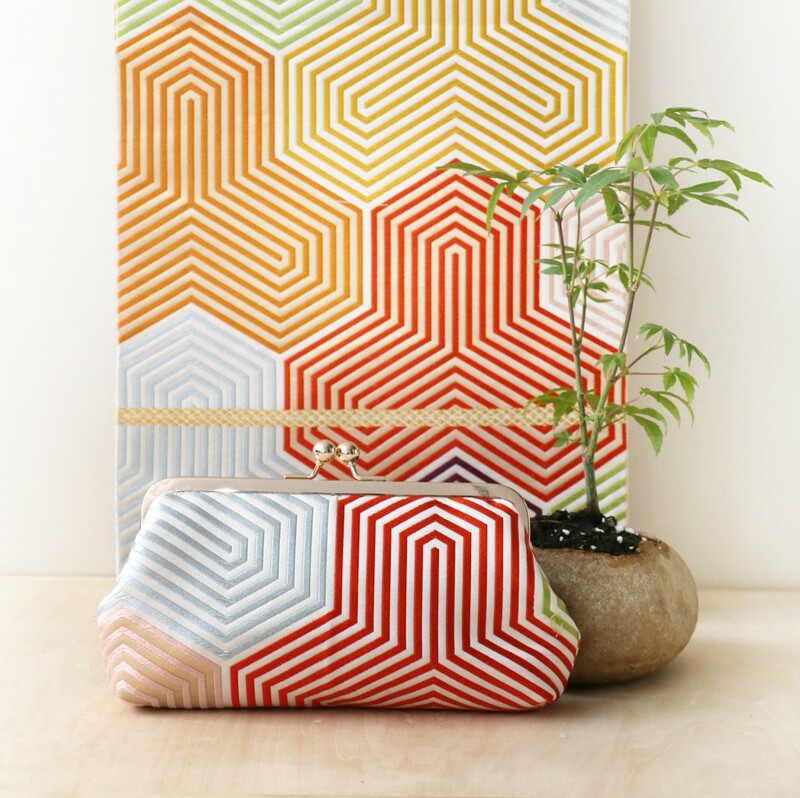 By giving these the vintage obi a new purpose, we hope to extend the appreciation and craftsmanship that was originally out into the making of this beautiful textile from Japan. 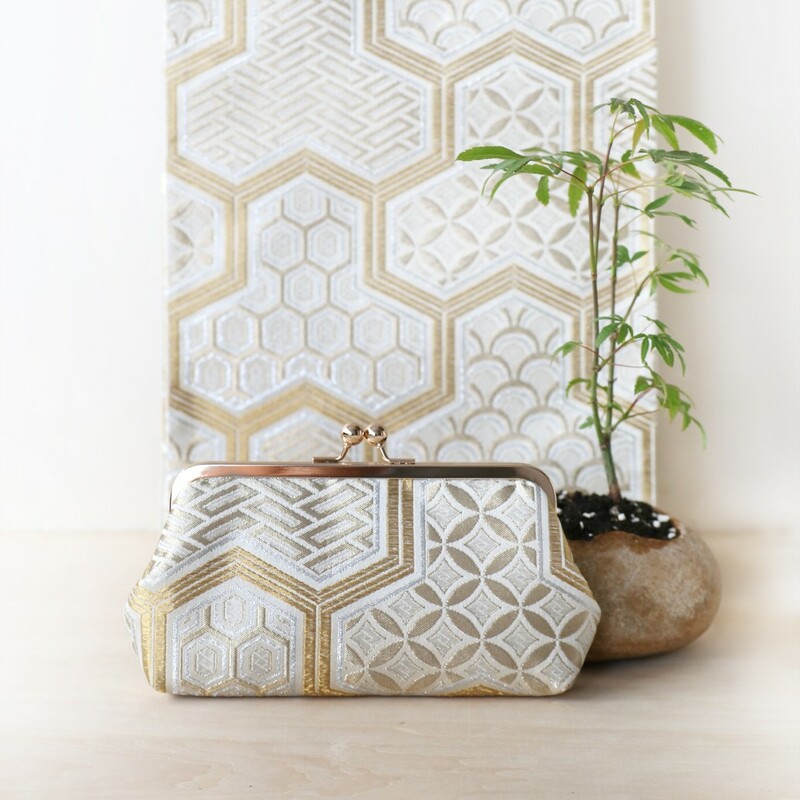 We currently have three different lines to our Obi Clutches — the Bishamon, the Treasure and the Nature Collection. Due to the one-of-a-kind nature of these clutches, they will be available on a first come first served basis at our Etsy store. The seven treasure symbol is originally a buddhist concept and it conveys luck, prosperity and abundance. Inspired by the treasure symbol, we hope the clutch will bring luck to the wearer on her quest of treasure hunting as she earns her own keep. Nature and seasons are an integral part of our planet, but sometimes, living in a city, we forget. Our nature collection is an attempt to remind the fabulous city girl the beauty of Mother Nature through its changing seasons, colors and organic creations. 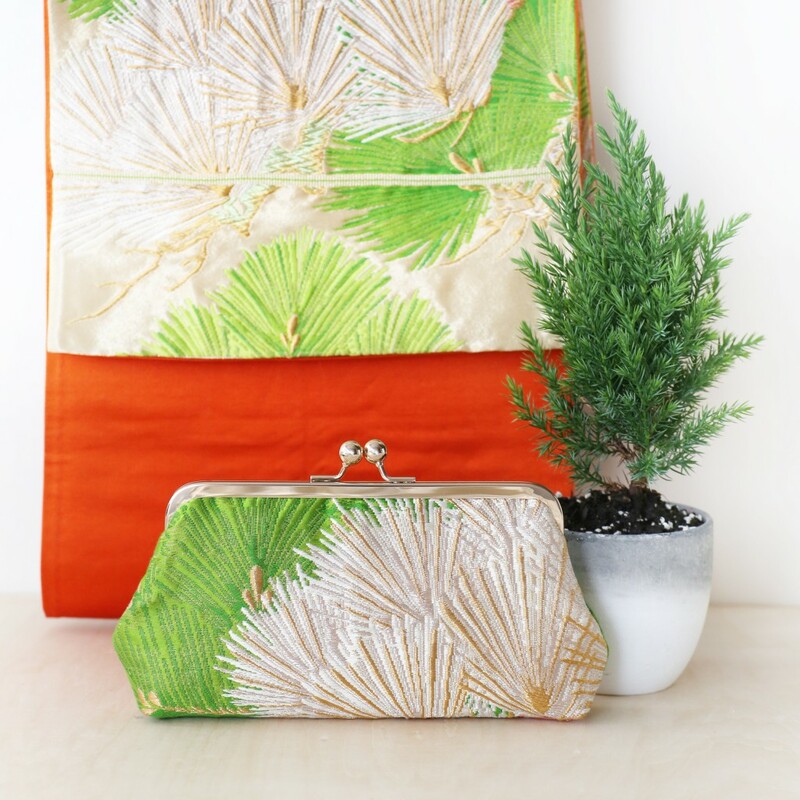 These clutch bags are one-of-a-kind and they are made from the obi sash photographed. One obi sash, depending on its age and vintage condition, would make up to 8 clutches. In this collection, we also try to limit waste by using the entire brocade side and the lining side into the clutch bag. Smaller pieces are made into smaller accessories such as business card holders (to be announced soon) and lovely elegant covered button hair ties like these. These hair ties will be sent as gift along with the clutches. 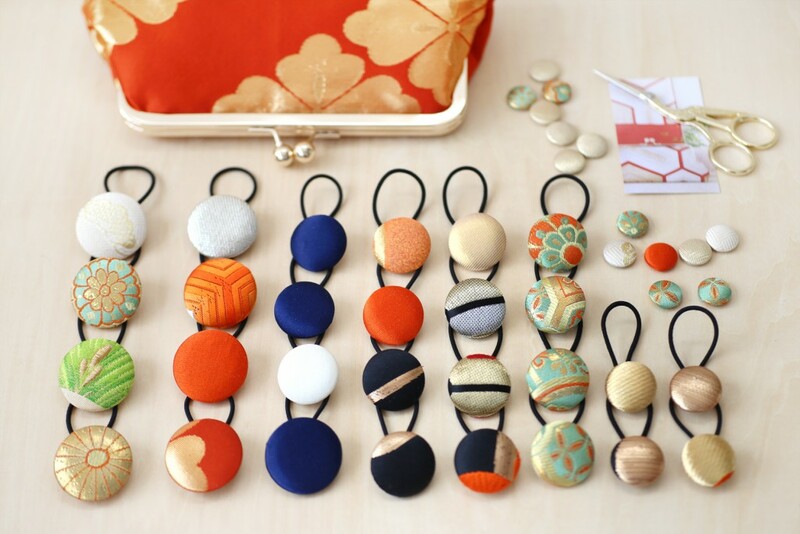 This vintage obi collection is the fruit of our last visit to Tokyo!